Most party invitations include a required dress code quote which can, and does, send a lot of people into a spin of ‘what to wear…’ It finds men, as well as women, facing a similar dilemma. Some quote ‘black tie’ attire and mean a tux for him and long dress for her while others use it because they want you to dress smart. One party you’d be wise to dress appropriately for is the office-party. A concept loaded with hierarchical and social issues were an appropriate dress choice can assist in keeping your work profile intact. When choosing any party look, remember that not every occasion calls for a new outfit and a few key pieces can effortlessly transform a garment, to create the desired effect. Choose outfits that are consistent with your personal style as it will enhance your overall appearance and project a confident image. White Tie means ultra-formal. Men wear full dress, with white tie, waist coat, shirt and cummerbund. Women wear long gowns. Black Tie means formal. Men wear tuxedos, women wear long dresses or dressy evening separates. Ultra-formal means white tie. Men wear full dress, with white tie, waist coat, shirt and cummerbund. Women wear long gowns. Formal usually means the same as black tie, but in some trendier cities like London & New York it could mean a black shirt, no tie with a tux. Women wear cocktail length, long dresses or dressy evening separates. Black Tie Invited or Optional means you have the option of wearing a tuxedo, but it should clue you into the formality of the event, meaning a dark suit and tie would be your other option. Women wear cocktail, long dresses or dressy evening separates. Creative Black Tie leaves room for trendy interpretations of formal wear. He can go more modern with a tux - maybe a black shirt, no tie. She wears long or short dresses or evening separates. Semi-formal is the trickiest of all dress codes. Usually it means that tuxes are not required, nor are long dresses. An evening wedding (after 6 PM) would still dictate dark suits for him and a cocktail dress for her. Daytime semi formal events mean a suit for him and an appropriate short dress or dressy suit for her. Dressy and Business Casual usually means sleek trousers and dressy shirt, no jeans or shorts skirts. Informal can mean the same as casual. However, when associated with a wedding or other special event, some form of decorum and good taste must prevail. A dress for her or a nice pair of trousers and shirt for him are informal, but respectful of the event. Animal print top to toe: hard to imagine but it is still one of the hottest trends…. 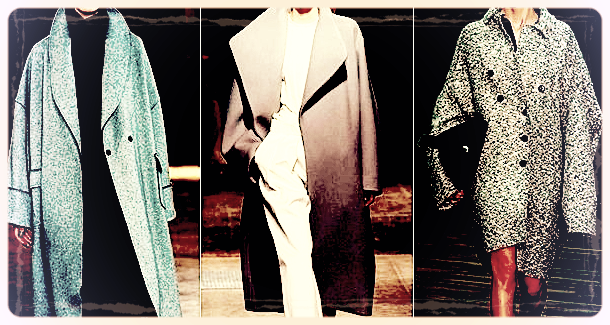 A statement cape: long or short, patterned or plain wool, lather, tartan or nylon.